Jancon Exteriors is proud to introduce you to premium vinyl siding from Mastic, one of the leading manufacturers of vinyl siding. We have had great success installing vinyl siding from Mastic on homes across the region. Why? Because it is truly excellent; both in quality and appearance! In addition, we also provide amazing James Hardie fiber cement siding for Franklin (and neighboring) homeowners. Asphalt roofing shingles are the most commonly used covering on residential properties in the market. The primary purpose of asphalt in roofing shingles is to serve as a waterproofing agent. Asphalt also holds the granules in place and adds to the overall strength of the roofing shingle. The best asphalt will stay flexible. It won’t dry out or become hard or brittle for the expected life of the roofing shingle. Window replacement in Franklin and surrounding areas is a great way to improve the look of your home, but also a great way to save money each month on your energy bills. 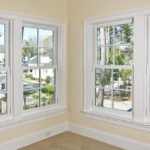 With more efficient windows, you can cut your energy bills significantly, saving you money in the long run. Jancon Exteriors also offers door replacement in Walpole, MA and surrounding areas. We have the best in materials from Therma-Tru Doors. From Steel Entrance doors to Fiberglass entrance doors, storm doors, or doors with decorative glass, we have access to many different styles and types of doors. 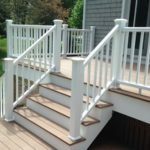 New sentence: And if you’re looking for a beautiful new deck, we install Azek decks for Mansfield, Medway, Walpole, and Franklin homeowners. 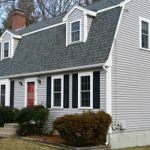 Jancon Exteriors is a trusted provider of storm damage repair services, serving Walpole, Franklin, Mansfield, and Medway in MA. 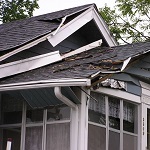 Our comprehensive range of services includes storm damage assessment and restoration, and storm damage insurance claims assistance. 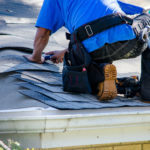 Jancon Exteriors provides a full spectrum of roof repair and maintenance services in Walpole, Franklin, Mansfield, Massachusetts and surrounding areas. Whether you need emergency roof repair or a comprehensive roof maintenance plan, our certified roofing experts, with extensive experience and proven competence in their respective fields, are ideally positioned to deliver.